My accident was on a late evening driving back home from an event. 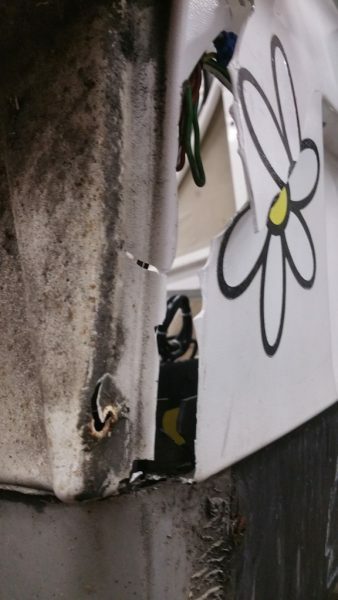 I flipped TW560 whilst avoiding a neighbor’s cat, then crossed my neighbor’s front garden suspended in a flipped-over TWIKE and came to a shuddering stop at her house’s wall – all whilst suspended at 130° sideways. Since the distance back home wasn’t too far, after performing some basic self-checks and extracting myself from the vehicle, I put TW560 back on its wheels and just pushed it back the last few 100 metres. 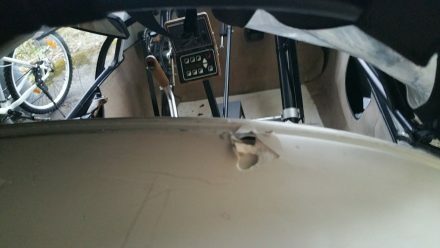 Back home, feeling shaken and slightly under shock, I initially didn’t care too much about TW560 to check the amount of damage that had been sustained that evening. Instead, I poured myself a stiff drink and and asked my wife to do a basic check-up on me since I had quite a few abrasions, was wobbly on my legs and generally felt unwell. She concluded that I was under shock, would be black and blue all over but hadn’t sustained any whiplash or other injuries…and poured me another drink. 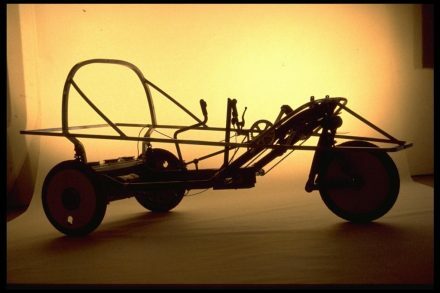 An extremely warped canopy with both bolts holding it on the chassis sheared off. Everything seemed strangely warped even if the highly flexible white Luran plastic seemed to be mostly OK.
That said, there were other places where the plastic was visibly damaged. 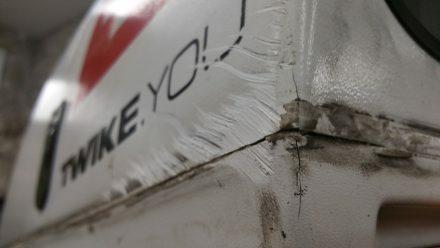 The most visible damage was to the canopy – it even broke in several places. Looking from behind, it becomes clear that TW560 has sustained massive internal damage. 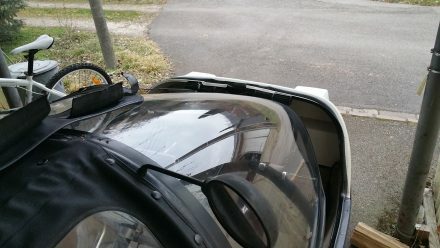 Most of the right part of TW560’s Spaceframe has been pushed back by 2-5cm and large cracks in the upper and lower battery bay elements are painful proof that most of my TWIKE is irreparably broken. 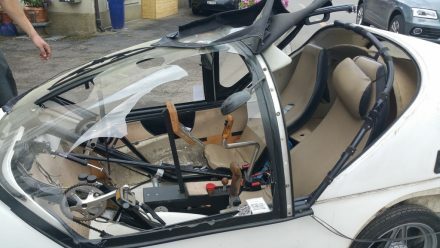 The frame is designed to be strong enough to protect a pilot against roll-overs and low-speed collisions and is designed to yield and deform in order to absorb energy whilst being as light as possible. Genius design. 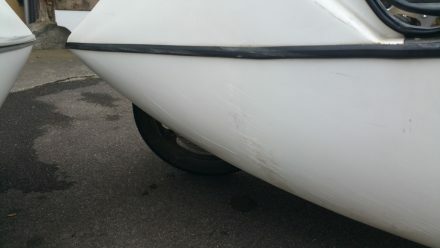 Looking at my TWIKE, I’m not quite sure if there is any way to have it repaired at all. 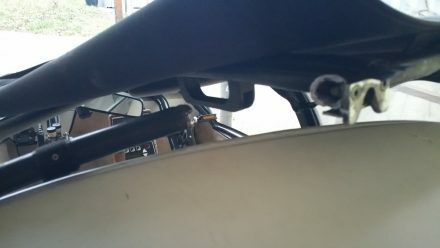 Looking into the TWIKE, the forces of rolling-over with me in the seat have even made the seat crack and warp the seat’s frame! Weirdly, even the super-light inside panels and battery bay cover came off. I dig further into the details and am more and more distraught. Has it just died forever? 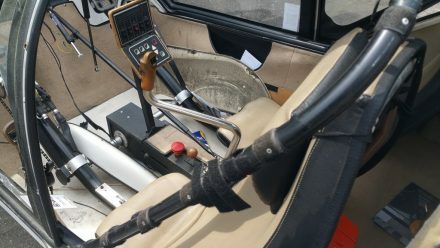 …if not – what will it cost to get it back to working order? 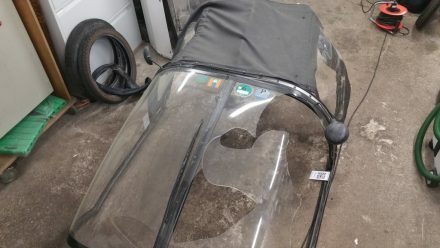 I call Andreas from Ksenotek to collect my TWIKE and check it out himself. 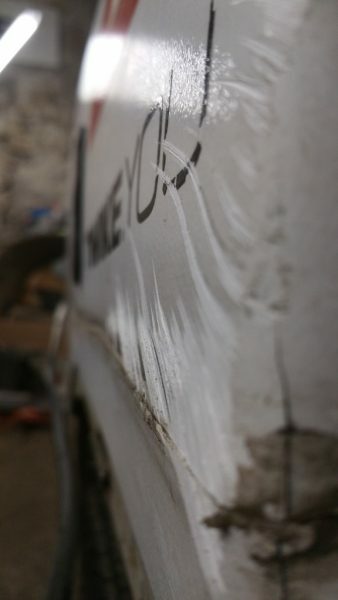 I need an exact estimate of the damage and how much it would cost to get it back to some kind of working order. 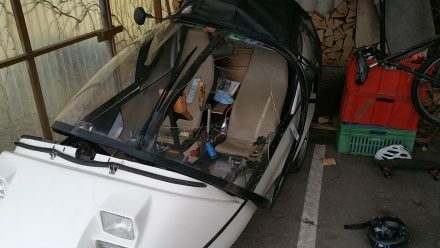 Andi is shocked himself as he sees what he calls ‘the best-maintained TWIKE ever’. He starts to dissect the remains and sends me regular pictures of what he is currently assessing. The pictures don’t get any better. And his first estimate of CHF 10,000+ is gradually corrected upwards with every day he pours over the damage. 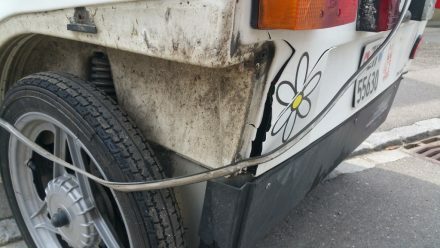 I tell Andreas to give me a minimum, workable, comfortable and maximum estimate for my repairs as a basis for my negotiations with my insurer. I’m well aware that my vehicle with 240,000km and nearly 20 years of age is outside of any comprehensive coverage by any insurer. Especially given the fact that I was enjoying an exceedingly low yearly insurance premium. 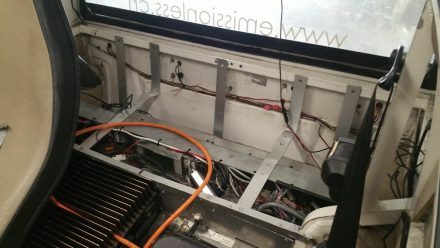 After more than a week, Andi concludes that my repairs will be somewhere in the region of 15,000-30,000 CHF depending on the options we choose – any result will be the same as what I’ve got now, no frills. The variance just considers the amount of unknowns he factors into the repairs. 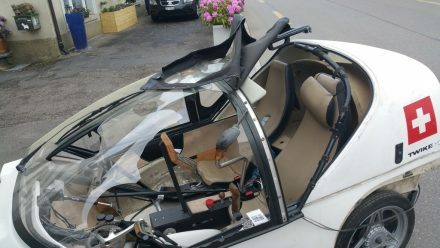 In any case, TW560 needs a new space frame, a new Luran cover and many, many more parts and lots of work (which is the expensive part in Switzerland). More info to follow. (I’m seriously considering a GoFundMe campaign to cover my costs) If you feel like you’d like to contribute, please click here.